We are Mumbai (Maharashtra)-based one of the most sought after Manufacturers and Suppliers of the Slotted Round Head Machine Screws. 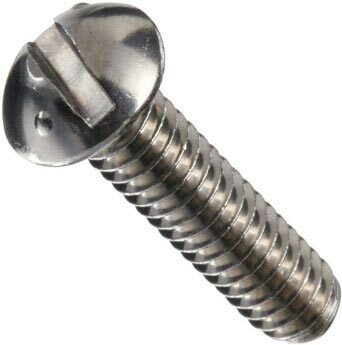 We fulfill the demands of various industries and sectors by presenting a wide spectrum of Slotted Round Head Machine Screws and that too at the most affordable price. We efficiently make available the Slotted Round Head Machine Screws only after complete testing. We are capable of entertaining bulk requirements of the customers.